TomTom has its finger into every navigation market it can get in on from the consumer to the professional drive. 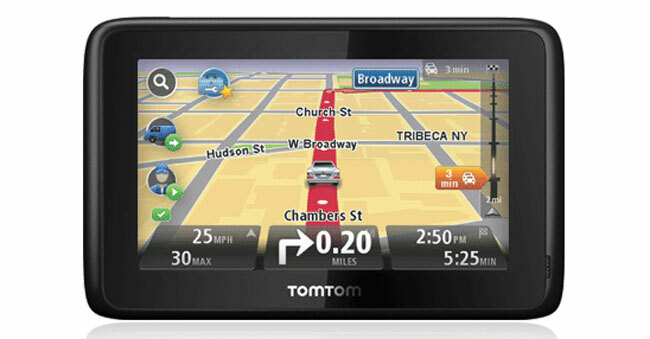 The latest offering in the line of TomTom devices is the Pro range with 5-inch screens. All of the models in the line had 5-inch touch screens and have similar features with WORKsmart solutions for mileage registration, time registration, and job status reports. The devices have IQ Routes and Eco route capability and Advanced Lane Guidance. They also support text-to-speech and hands-free calling. The Pro Series also supports vehicle tracking, job dispatch, time management, and fuel management. The units include the PRO 7150, 9150 and 7150 TRUCK purchased via business partners with TomTom. The 7150 sells for 359 euro, the 9150 is 429 euro, and the 7150 Truck is 399 euro. The TRUCK versions have programming that allows them to only pick a road that the big truck can fit on.